Try our new interactive panel building tool! The ability to select antigen density and fluorophores based on brightness, combined with automatic exclusion of incompatible fluorophores, will help you build larger panels with confidence. Not sure which markers to choose? Try our marker selection tool. 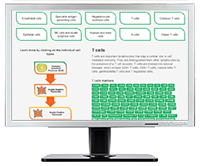 All you need to know about immune cells, lineage, marker expression and the marker protein itself at your fingertips. Providing a direct link to antibodies available to your chosen marker. Bio-Rad has over 4,000 antibodies validated for flow cytometry as well as helpful resources to help you with your flow cytometry experiments. 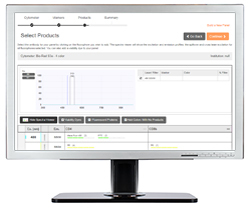 These resources as well as listings of antibodies, kits and controls can be accessed from our dedicated flow cytometry page or by clicking on the links.